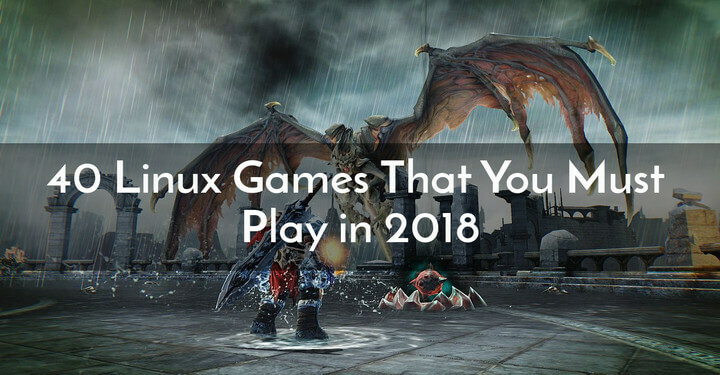 The last time we compiled a list of Linux Games was back in 2017 – The 25 Best Games for Linux and Steam Machines. 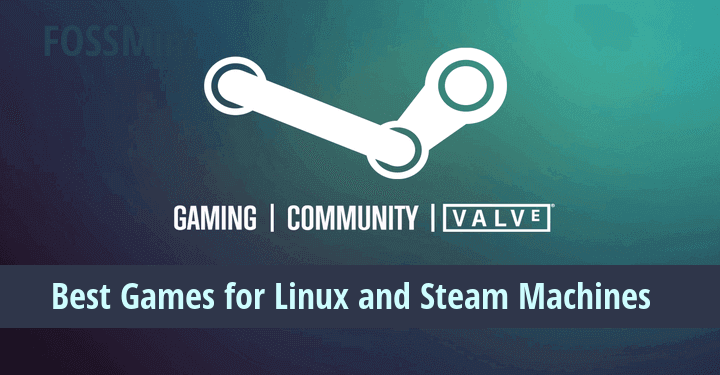 Since we’re in 2018 it is only fair that we compile another list Linux gamers can refer to as they prepare to storm Steam’s (and other game services’) servers. 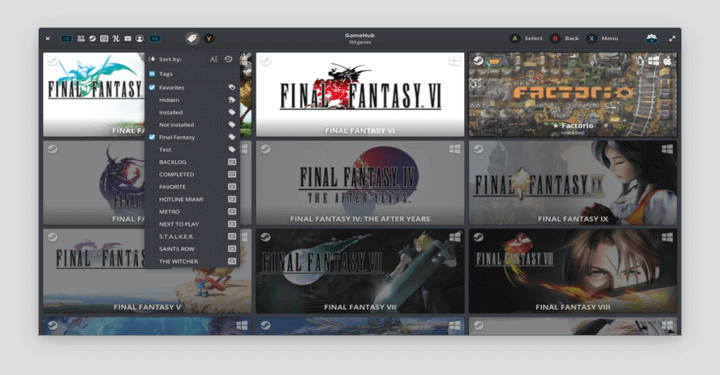 The games are listed in no particular order; And even though some of them featured on the previous list I advise you to check that one out here before proceeding. Civilization VI is the successor of the popular and much-loved strategy game, Civilization V. If you were in love with any of the previous versions then part 6 is here to provide you with the most awesome civilization experience ever. If you don’t already know Dirt Rally, it is a no-joke racing game. Eurogamer reviewed on Steam as the finest driving game released by Codemasters since it’s release in 2015. DiRT Rally is arguably the most electrifying rally game ever as you race for 80 million+ miles along dangerous roads that you know will sooner or later, lower your chances of winning. Everspace is one of my favorite titles in this list because it embodies my idea of an ideal space mission fighter game. It features beautiful mission spaceships, a beautiful non-linear storyline that unravels the deeper you go into the game, engaging cut-scenes, and ultimately, unending first-shooter action. How much do you like space shooting games? This might just turn out to be one of your favourites as well. One of the unique games on our list, This War of Mine puts you in a world torn apart by war with you being a civilian struggling to survive. Your aim is to save other survivors like you but to do that you will need to kill enemy combatants to stay alive. War Thunder is a Massively Multiplayer Online for mission game lovers set in 1940/1950 USA military era. You’ll play the game with aircrafts, tanks, characters, and gadgets that can be upgraded as well as take realistic damage. It’s free and it also has the option for you to purchase better gear and weapons – and to even set up your in-game content for sale. If you’re in search of a truly engaging war-based title then give War Thunder a try. Onraid is a 2D scrolling shooter game reminiscent of the much-loved Contra series, except that it is a lot cooler. 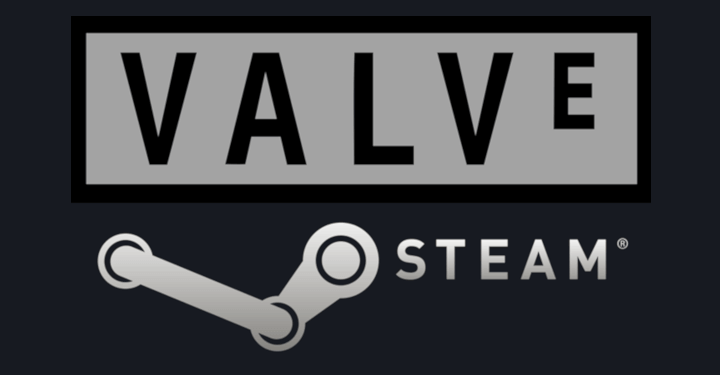 It features single-player, MMO, online co-op, local multiplayer and online multiplayer game modes. Apart from its storyline and play quality, its next strongest selling point is the fact that its players can implement custom strategies even as they use in-app purchases to better their chances of victory. This one is a 3d isometric Real-time strategy action game and the sequel to the Warcraft III mod, Defense of the Ancients. The aim of the game is to play in a 5-person team to destroy the opposing team and collect digital goodies on the way. Dota 2 is a Steam-exclusive multiplayer game that is clearly a masterpiece as it has been able to gross as many as 800,000 daily players. Being the most popular title in its genre, Dota 2 is a definite must-have for those who never give up too quickly. SuperTuxKart is such a loved game that I can only imagine the backlash we would get if it’s not on our list. It’s a 3D kart racing game whose characters are the mascots of some of our favourite FOSS projects including Tux, GNU, the BSD daemon, and the PHP elephant. With over 20 race tracks, 6 gameplay modes, and improved player options with every update release, SuperTuxKart is designed for gamers who enjoy the thrill of kart racing – and what better way to do it than with our favourite FOSS mascots? 0 A.D. started as a mod for Age of Empires II and then went on to be regarded as one of the coolest FOSS game projects ever. It’s an engaging warfare game that sets players in a fictional historical time period. Make no mistake though, the civilizations were once real as the developers took their time to delicately include historically accurate maps, buildings, landmarks, e.t.c. With each civilization being unique in appearance and gameplay, it is easy to see how 0 A.D. is still an Alpha release and is already gathering many fans. Coming in at #10 is the black & white mystery mini-adventure series game, Kith. It is situated in some sort of medieval castle where you will interact with several people and objects that you come across. Each episode of the game is released as a small free update forever. You can, however, purchase the $0.99 Lorebook to support the continuation of the game series. Counter-Strike GO is arguably one the most First Person Shooter action games on Steam for Linux and that should come as no surprise. As you must have seen in the video trailer, it is a truly action-packed multiplayer game and given the fact that is has received over 1.7 million very positive reviews, you can be rest assured to get your money’s worth – especially now that it’s on a discount. Shadow of Mordor will probably be the end of your search. Both the fighting, storyline, characters, and environment are engaging with exciting soundtracks. Insurgency is an engaging First Person Shooter game focused on shooting. How is it more focused than other FPS games?” you might ask. Well, it has HUD nor does it have an ammo counter. It features a Delta Force type of environment and has gained a lot more traction in recent times ever since its first release in 2014. Dark-wood is an age-sensitive action, horror, and exploration RPG. Find materials to Scavenge and things to interact with in this mysterious world called Dark Wood. I have a friend who loves this game. It’s far from getting on the list of my favorite games but it’s now apparent that I am missing something. This release of the best seller brings players even closer to doing the real job than its former siblings. After including all the clubs from over 50 countries world-wide for you to choose from, Football Manager will put you right in the heat of the game for a 25% price discount. Maybe this is a Road Rash replacement. I don’t know. There sure are a lot of similarities between both games and the thrill is even more exciting in Road Redemption. This title is therefore for all bike race lovers out there who aren’t scared to get their game hands dirty. 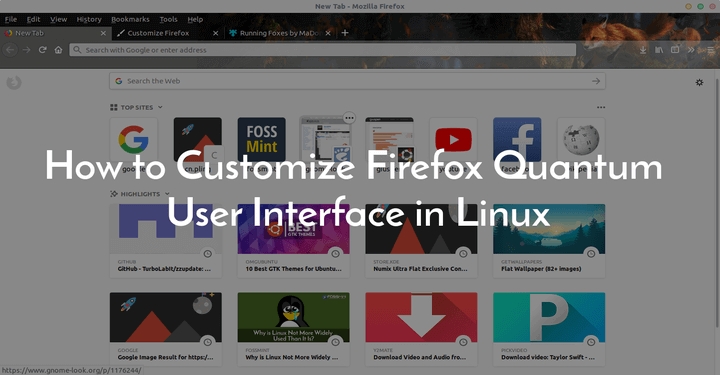 Coming to you from Codemasters & Feral Interactive, the developers of the #3 game on this list, Dirt Rally, F1 2017 is a modern HD game that brings the thrill of the latest F1 racing season to your Linux desktop. Shadow Tactics is a tactical stealth game set around the Edo period in Japan. Its storyline is centered around a Shogun who seizes power and then recruits 5 mercenaries with special skills for espionage, assassination, and sabotage to crush all those who oppose him and have hopes of starting a rebellion. Butcher is an action, fast-paced 2D shooter game that involves kicking corpses into lava bits and shooting at any moving thing that gets in your way till the whole place is bloody. It’s not for kids and it’s not for the faint-hearted. Limbo is about a kid who enters Limbo to search for his sister because he was uncertain of her death. You play the kid who embarks on a long journey in a strange and dark world with puzzles that get more difficult as you progress. Left 4 Dead 2 sets you in a zombie apocalypse together with your friends as you struggle to survive while going through the swamps, cities, and cemeteries from the Deep South Savanna all the way to New Orleans. The Borderlands franchise is an FPS RPG that involves blasting every enemy that stands in your way and Borderlands 2 brings an even better experience – the important things is that you’ve got a massive arsenal of weaponry. So Lock, Load, & Face the mind blowing insanity as you play as one of four trigger-happy mercenaries. Shadow Blade is a cool ninja-themed action game in which you carry out missions using your ninja and samurai skills as you sprint our way across vast regions all while dodging deadly obstacles and killing opposer’s that stand in your way. In Rocket League, all the cars have rockets strapped to their ends and while everyone is trying not to die, they’re also playing soccer! Being a sequel to Supersonic Acrobatic Rocket-Powered Battle-Cars, you can trust this physics-based multiplayer game to be as thrilling as the demo video. Last but definitely not the least on this list is the challenging roguelike adventure RPG Darkest Dungeon. It’s a psychological game in which recruit, train, and lead a team of heroes against a multitude of horrors not excluding stress, famine, and diseases. For how long do you think you can keep your team together? Play the game and find out. Team Fortress 2 features 9 classes of expert awesome guys all who have a variety of styles and tactical abilities. Its maps, game modes, weapons, etc have been constantly updated ever since its first release in 2007. Download the game and see how much of a team player you are. Imagine that you are stranded on a weird island with controllable wild animals and other standed people who want to survive long enough to escape and go back home. ARK: Survival Evolved allows you to play against other players as you fight you way through the island and use as many animals and gadgets as you can to your advantage. In Euro truck Simulator 2, you drive across long distances within Europe to make important cargo deliveries. There are dozens of cities to explore as you test your endurance, speed, and driving skills as king of the road. 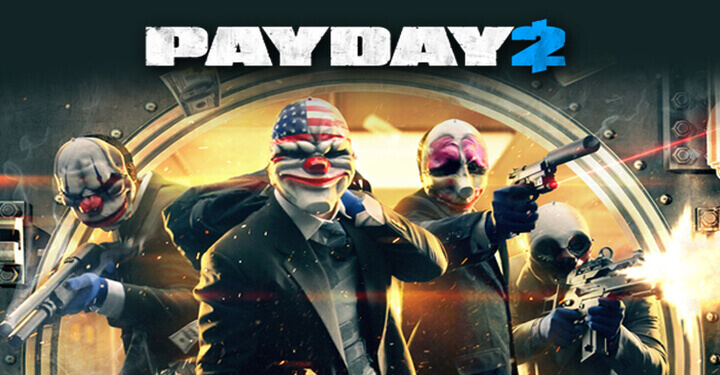 PAYDAY 2 is an action-packed crime game involving 4 co-op shooters. Are you ready to play as the original PAY crew, Dallas, Hoxton, Wolf and Chains? Take up your masks and enjoy causing havoc as you go on an epic crime spree in the Washington DC area. Rust is a new survival game that has received a total of mixed reviews since its steam release in February this year. It’s a survival game that gets pretty dark as you play on. You wake up in the middle of virtually nowhere without anything, not even clothes! Your job is to find and gather useful tools in the environment that will help you to build a shelter, kill animals or people (other players) for food – whatever it takes to keep on living. Have you got what it takes to suvive after waking up in your birthday suit? Play the game to find out. Hearts of Iron IV is a strategy game that gives you control over any of the countries that took part in the world’s most historic conflict – World War 2. Do you have the ability to lead your army to victory? Play the game and find out how much of iron your heart is made of. Stardew Valley is an RPG simulation game for lovers of agriculture where you get to play as a farmer who takes control of granddad’s farm. Just like with the farm, you are equipped with inherited tools and a handful of coins to kick off with. Do you have what it takes to take your grand father’s old farm to the next level and build a lofe for yourself? Garry’s Mod is a fun physics sandbox where you are the determiner of your fate. There are no predefined goals and you decide how you want to use the liberty given to you in the game to do. Do you think you can create your own destiny in a world that allows sci-fi activites? You are bound to love this game. Terraria is a Minecraft-like adventure game with almost an endless array of possibilities. In it, you have to dig your way through things, fight enemies, build structures, and explore ew areas. You’re free to do whatever you want whether it is to equip yourself with weapons to fight as many foes as possible or to build whole cities. The world is yours! In Unturned, you play as the survivor of a zombie apocalypse and you will have to cooperate with your friends to continue surviving. As you play the game you gain new abilities like being invisble and breathing fire. 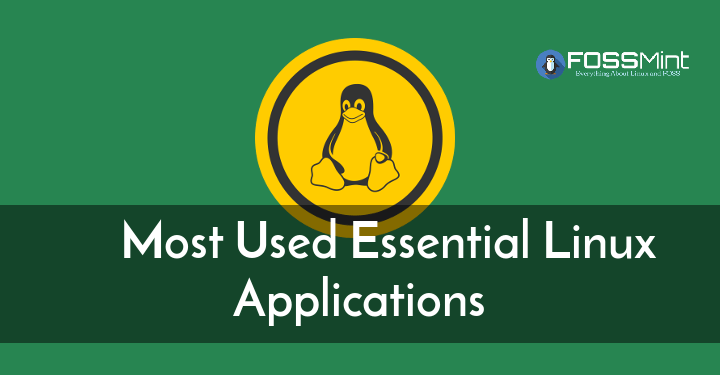 You will also need to be able to plant crops, catch fish, forage fruits and vegetables etc. Another survivor game that requires you to live among the dead. For how long can you remain unturned? Don’t Starve Together is a standalone multiplayer extension of the survival game, Don’t Starve. Here, you are trapped in a strange world filled with enemy creatures and environment-hostile places wherein you are to gather resources to craft materials that will aid your survival. You can choose to play alone, with friends in a private game, or online with strangers. Whatever the case might be, don’t starve. This survival game is an open-world combo of horror, first-person shooting, and role-playing. In it, you will need to craft your weapons as you try to live in the aftermath of the collapse of civilization. Explore new terrain, play alone or with your friends, build stuff, farm, improve your skills, etc. Anything to survive. Cities: Skylines is a modern take on the city-building craze of 2017. Here, you have complete control of your decisions regarding how you want the city to be and the option to modify the game to suit your needs. How would the world be if you were allowed to build it yourself? In this game, you are only limited by your imagination. Find out what your limits are. Stellaris features visually stunning gameplay in the vast expanse of the Universe. This strategy games allows you to traverse galaxies as you discover and interact with different species across the universe and build relationships that will ultimately lead to you finding out more about the universe with your team of heroic scientists. If you love space-themed games and strategy games then this one is a must-play. After 2018’s Tomb Raider movie remake the Tomb Raider game got a spike in user activity on steam. This 20 year celebration features the base game with a whole set of new content including new skins, weapons, combat waves, etc. Are you ready to boot up and grab your legendary twin pistols? Download the game below. That concludes this list for today, Folks! Do you think I skipped some of your favourite game titles? 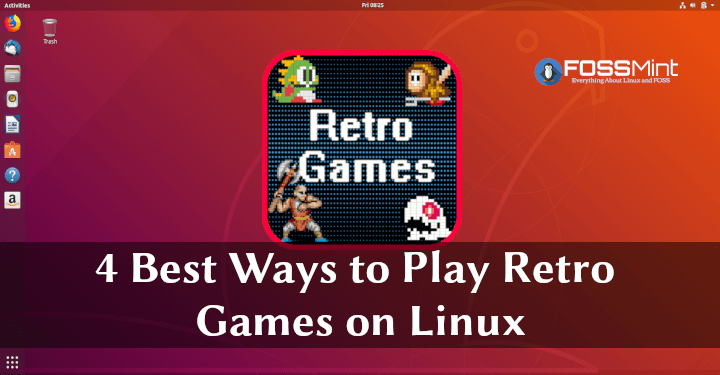 Maybe they’re on our list of The 25 Best Games for Linux and Steam Machines. If there aren’t I leave it to you to make the honourable mentions in the comments section below.